Anthrazitkohle, Koks und Heizöl - Produkte | Hermann Hollmann GmbH & Co. Currently over 6 billion tons of hard coal are consumed per year. The increasing global energy demand especially in the eastern emerging countries will lead to a higher proportion for coal within the worldwide energy, as well in Germany. Coal is formed by the partial decomposition of the remains of plants under pressure and lack of oxygen (coalification). It consists mainly of carbon, hydrogen and oxygen and thermal power is generated by its combustion. With an incremental duration of the coalification it contains more carbon and less volatile matter. The degree of coalification is not only depending on its age but also on geological conditions in its formation (temperature, pressure). 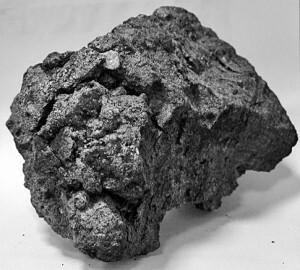 That is characterized by chemical and physical properties, like water content (W), carbon content (C) and content of volatile matter (V), which categorise this solid fuel into anthracite, bituminous coal and sub-bituminous coal. 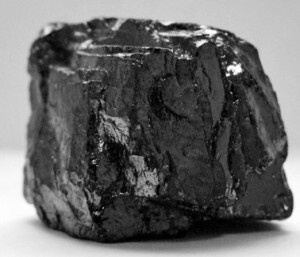 Anthracite provides the highest energy levels (<10 % volatile matter) with a wide range of application potentials. It is used not only to produce electricity but also in metallurgy, chemistry and building materials production. Long-term partnerships with European producers and suppliers provide Hermann Hollmann GmbH & Co. with an assortment of different anthracite qualities from Russia, the Ukraine and South Africa. The partly screened coal will either be delivered directly or via storage (for further screening) usually in grain sizes 0/6 mm, 6/25 mm, 25/40-50mm, 25/70 mm, 40/60mm, 40/70mm to the sugar, lime, steel industry and wholesale. Coke which is preferably produced with low-ash bituminous coal (lignite or hard coal, high content of volatile matter) in a coke oven plant where its volatile matters are being removed. The coking coal is heated to over 1.000 degress Celsius under lack of oxygen while carbon and the remaining ash are fusing. In addition to coke oven gas valuable raw materials are gained for chemical industry. Coke is predominantly used in the iron and steel industry. For decades Hermann Hollmann GmbH & Co. has been importing mainly blast furnace coke (25/80mm), nut coke (60/90mm, 40/60mm, 20/40mm, 10/20mm) and coke breeze (0/10mm) for the mentioned industries and wholesale from Poland and the Czech Republic. Hermann Hollmann GmbH & Co. delivers heating oil to domestic customers. For decades oil supplies are offered and disposed to final consumers in and around Melle. Long-term partnerships with oil wholesaler provide a reliable and punctual supply.